When you think of Iceland, what are the things that come to mind? I’m guessing the Blue Lagoon sits pretty high for most, along with the Northern Lights, Aglafaglaakull (Known locally as Eyjafjallajökull), the banking crisis (terribly sorry, Netherlands) and ice-fishing settlements for ice fishing (if you didn’t pay much attention during school). It is, however, a rare thing that a traveler experiences Iceland without experiencing the Golden Circle in one way or another. You might book a tour with some of the many tour companies or you might do a self-drive tour… or perhaps you’re driving along the south when suddenly “oh look, honey! A geyser!”. 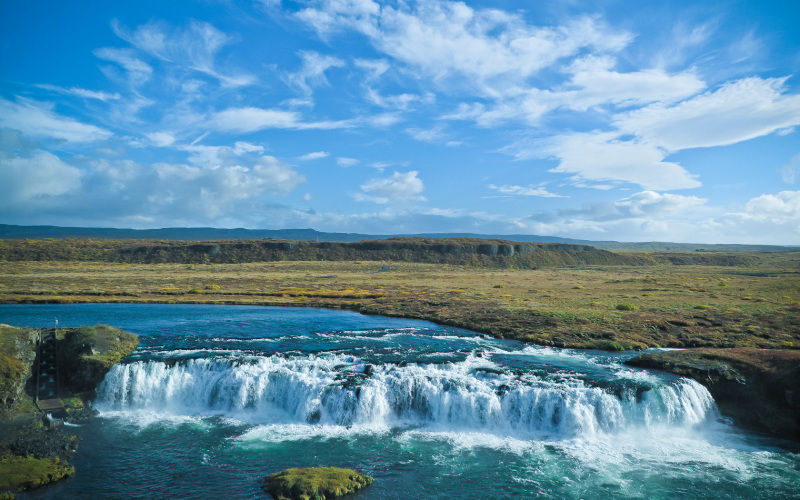 Chances are that if you travel around Iceland you will not and would not want to miss out on the attractions that are waiting in the Golden Circle of Iceland. Every good story starts with a volcanic crater, or was that something else? No matter! The Golden Circle does, however, start with a volcanic crater. When I was a young boy I remember first standing at the edge of the crater contemplating what could possibly have caused such a perfect hole in the ground. 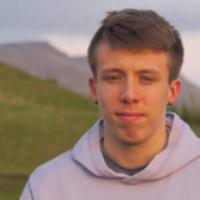 Of course, my mind went straight to a meteor crash and since no one bothered to tell me otherwise that’s what I decided until I became big and smart enough to know otherwise. Kerið is a large volcanic crater that still has its caldera mostly intact, the red lava in its sides draped with lush green moss. 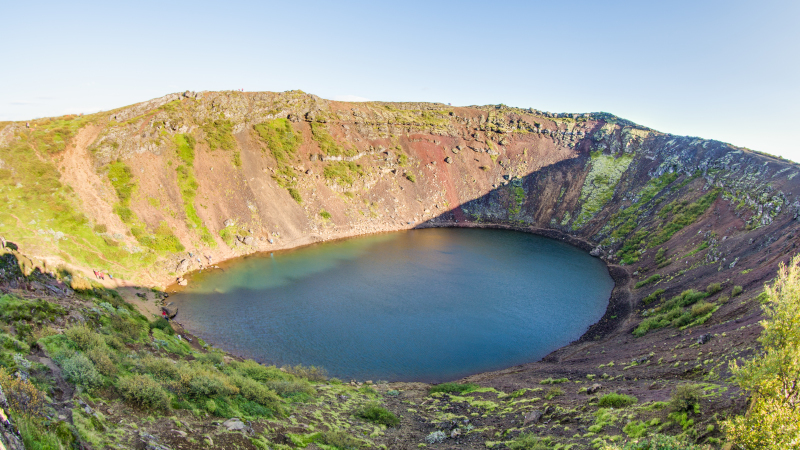 Originally the crater was thought to have been formed by a massive volcanic explosion but now the popular theory is that Kerið was once a cone volcano that erupted, emptied its magma chamber and then collapsed into itself. Iceland's most popular and historically relevant national park (some scenes from Game of Thrones were shot here). But Game of Thrones is not why Þingvellir is historically relevant. This place gave birth to the oldest extant parliament in the world, Althing, for which it is named. Þingvellir is a frequently visited tourist sight for its camping grounds, amazing natural sights, diving experiences in Silfra and hiking trails. 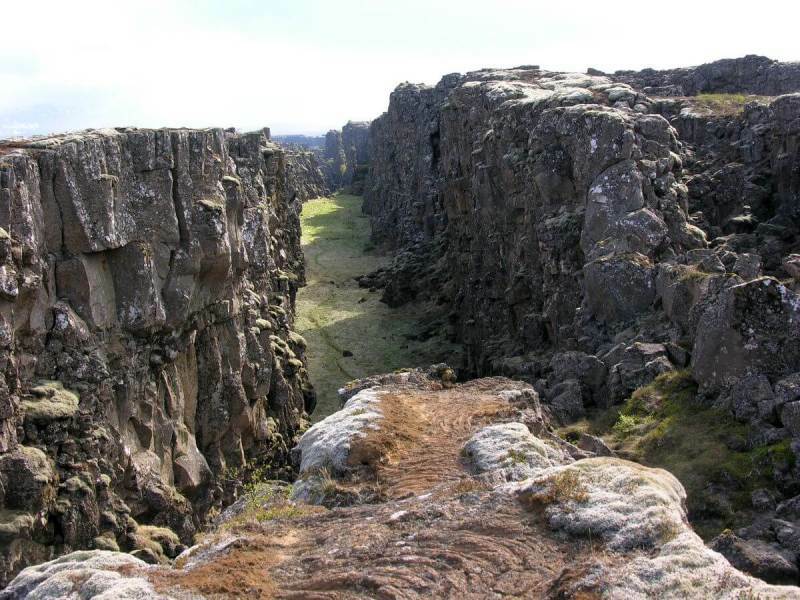 It is one of the three major locations in the Golden Circle and connects the Eurasian and North American continental plates. You’ve heard of the Blue Lagoon, you may have even heard of the Mývatn Lagoon, but have you by any chance heard of the Secret Lagoon? 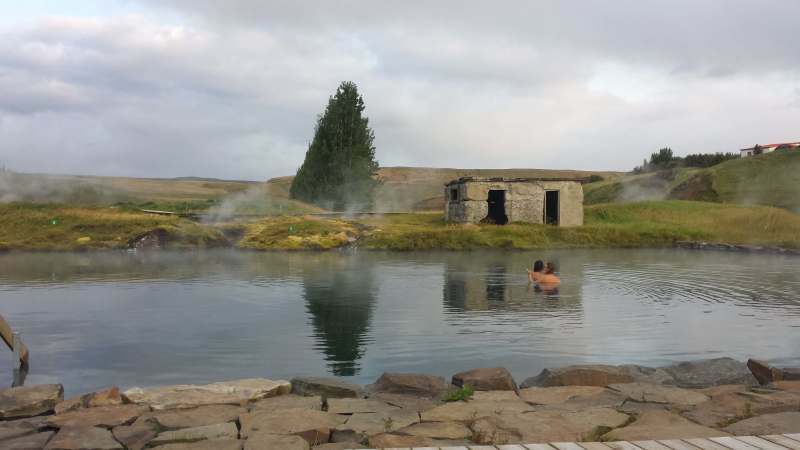 It’s this remote little natural pool, located in the vicinity of one of Iceland’s most popular camping grounds Flúðir. The water is normally at a comfortable 38° - 40° Celcius and from the pool you can enjoy a baby geyser trying his hardest to be as impressive as his elders at the Geysir area. The little geyser that could is still nice to look at. There is a pretty steep entrance fee of 2.800 ISK to go in, but if the budget allows and the weather is calm then it might just be worth it. One of the three main attractions in the Golden Circle, Gullfoss is a massive cataract waterfall that flows from the river Hvítá. During winter, the amount of water is around 80m³/s while in the summer it can go up to around 140m³/s. The largest flood measured was 2000m³/s. The waterfall can be viewed from several well-placed lookout points and is especially beautiful during the winter period when the frost-tipped grass reaches over the banks and the fields are blanketed with snow. The geyser for which all geysers are named, Geysir is a dormant hot spring in the Golden Circle area and one of the three main attractions in the tour. He's been sleeping for a while but history has taught us that he is just waiting for the earth to wake him up. Throughout history, Geysir has sporadically been roused by seismic activity only to fall back to sleep shortly after. Lazy old goat. 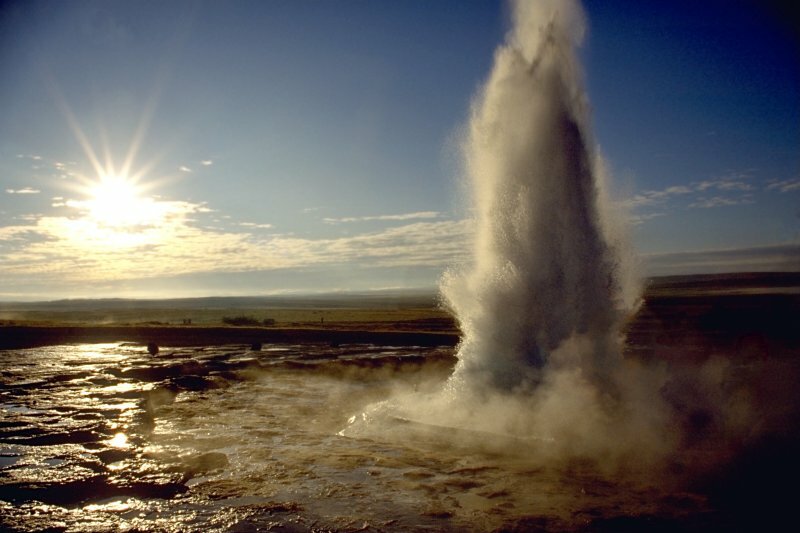 The area is still worth a visit as Geysir's little brother Strokkur is only a few meters away and erupts with approximately 8-minute intervals. He might not be as impressive as Geysir but Strokkur eruptions have been known to reach up to 40 meters in height. 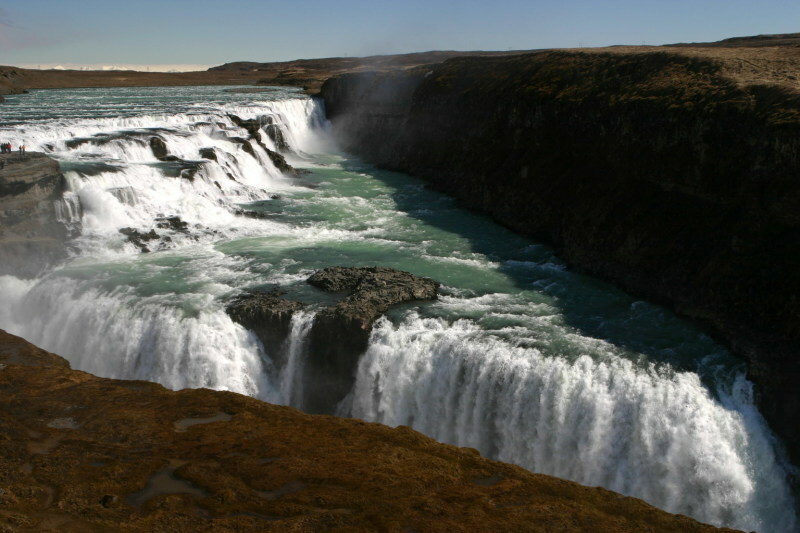 Often referred to as Gullfoss' little brother, Faxi is 100 meters wide with a 45-meter drop. It's also known as Vatnsleysufoss, and some GPS systems seem to prefer that name over the Faxi one. The waterfall flows in the Tungufljót river with a salmon ladder right next to it. Faxi is one of the lesser-known jewels of the Golden Circle, but one you should not miss out on! Whether you rent a car and drive yourself or hop on the next tour, the Golden Circle is something you shouldn't miss while you're in Iceland.